All these adapters are designed to work with Microsoft Windows XP/2000 operating systems. Important Note: The USB-to-serial adapter will be functional with the HIM only by mapping the USB-to-serial adapter to COM1. This section gives general guidance on how to install the USB-to-serial adapter under the Windows 2000 or Windows XP operating systems. It is best to read and follow the installation manual that came with your USB-to-serial adapter. Note: It is strongly recommended you exit all Windows programs prior to installing your USBto- serial adapter software drivers. Installation procedures may be unique with each manufacturer. Always read and follow the manufacturer’s recommendations. This procedure is representative of the installation of other USB-to-serial adapters and for computers using the Windows XP operating system. 1.Power-up your computer and boot to Windows. Make sure you have administrator privileges to install software on your system. 2.Install the driver software that came with your USB-to-serial adapter. Some manufacturers request that you install the software drivers prior to plugging in the USB-to-serial adapter. 3.Windows will then start to install the software driver for your USB-to-serial adapter. Once installation is complete, Windows will prompt you that it has finished installing the software. This section details how to verify that the USB-to-serial adapter was properly installed. You also need to determine the COM port assignment made by Windows for the USB-to-serial adapter. To verify if the device is properly installed and to determine the COM port assignment of the USB-to-serial adapter, do the following procedure. 1.Click on Start, Settings, Control Panel, and then click on the System icon. 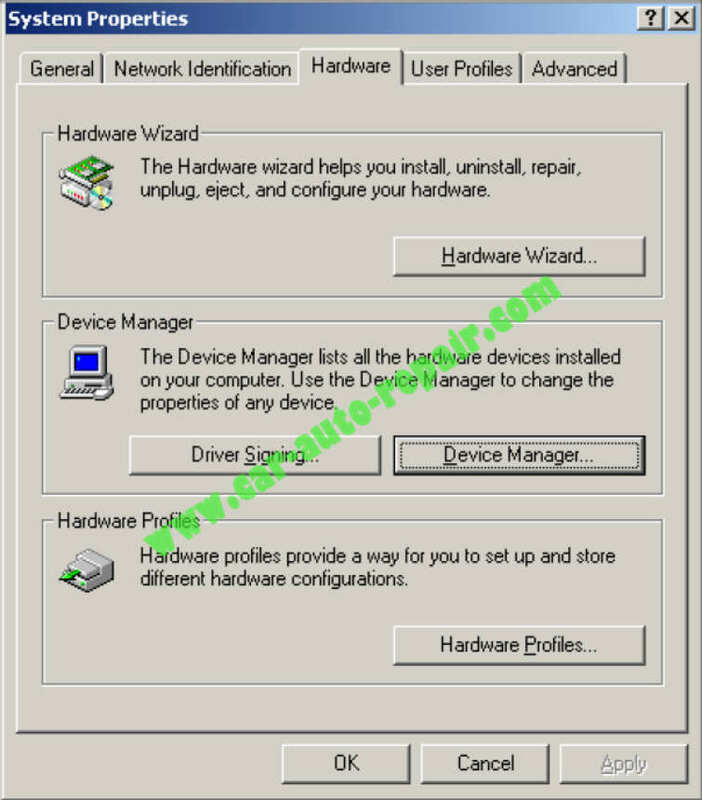 Inside System Properties, click on the Hardware tab and click on the Device Manager…button. 2.Double-click on Ports (COM & LPT). If the USB-to-serial adapter is already plugged in, you will see the USB-to-serial (COM4) device listed. This means that Windows has assigned the USB-to-serial adapter to the COM4 port. The COM port assignment of the USB-to-serial adapter varies, depending on your computer hardware setup and configuration. 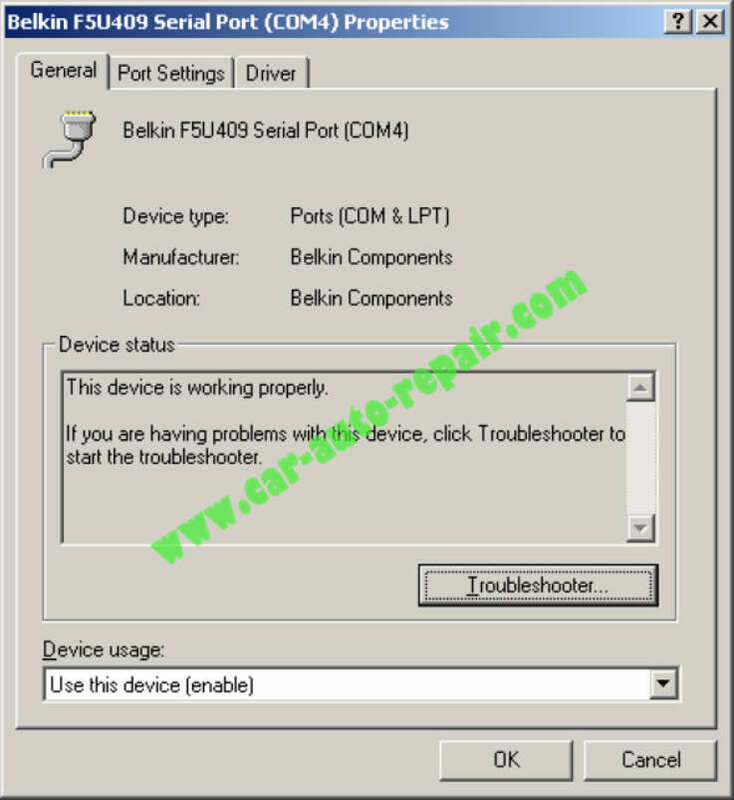 Windows checks which COM port is unused or free in your computer and automatically assigns a port number to the USB-to-serial adapter. Important Note: The HIM functions only on COM1. 3.If the USB-to-serial adapter is not already on COM1, you must assign the COM port of the USB-to-serial adapter to the COM1 port number. Double-click on the USB-to-serial COM port to view properties. 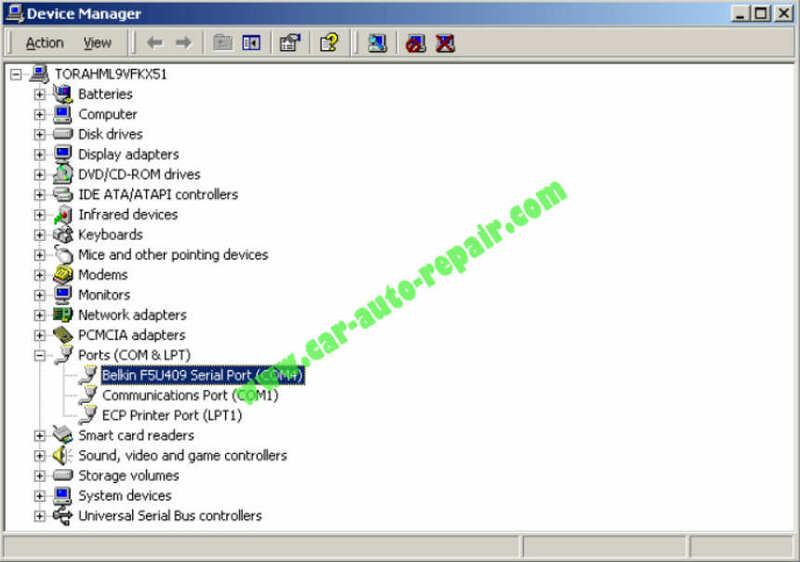 4.Inside the USB-to-serial COM port properties, click on the Port Settings tab. Click on the Advanced… button. 5.Inside the Advanced Settings screen, click on the COM Port Number. Example: If Windows assigned COM4 to your USB-to-serial adapter, you must reassign it to COM1. Click OK when finished. Note: Any other device that was previously assigned to COM1 may no longer function correctly. Your USB-to-serial adapter should now be assigned to COM1. connection to the PC. 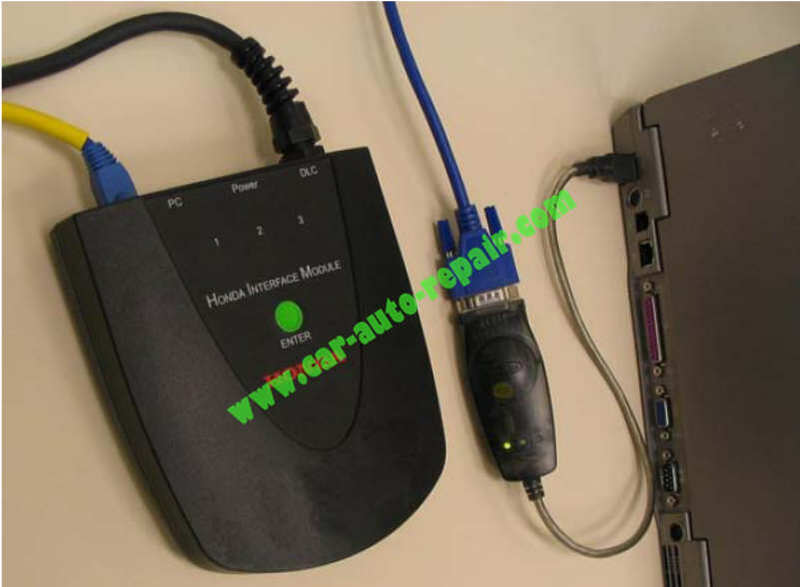 Attach the serial connector of the HIM to the serial port of the adapter,and then plug in the USB connector to the USB port of your computer. Proceed with normal usage of the HDS with the HIM. In the event you need to uninstall the drivers for the USB-to-serial adapter, follow the user manual provided with the device. Generally you can go to the Control Panel, click on Add/Remove Programs, highlight the USB-to-serial adapter and click on the Change/Remove button. Confirm the deletion by clicking on the Yes button. Click Ok to finish. If the COM1 port was used for a device prior to installing the USB-to-serial adapter, the port may need to be reset for that device.